Interesting RBL performance data collected since Jan 1, 2012. RBL’s are the third party blacklists that our Hosted Exchange uses to check if an incoming message is sourced from a blacklisted email server as SPAM. If so, the incoming message is rejected. 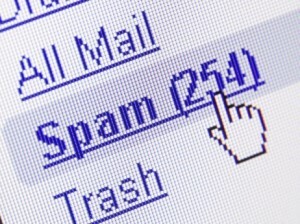 From the beginning of the year; close to 540,000 incoming emails have been rejected as SPAM. This doesn’t include the additional internal IMF filters we use for SPAM filtering. RBL’s are the first line of defense! How do RBLs block spam? RBL or Reverse Black List, is list that a third party entity maintains of proprietary addresses. This list is gathered through private means and contains email servers that have been found to either be compromised, or been sourced to send out junk mail. There are many flavors of RBLs, some contain address lists that are simply large blocks of addresses normally assigned to home internet use. The thinking is why would a home internet address maintain an email server? And if email is being sent out from a home address it must not be a legitimate email server, but a compromised or infected home computer. Some lists are developed through the efforts of a larger community of users that submit spam they have received. This email is analyzed and the source servers added to the list. Whatever the case may be, if you configure your email server to reference a reverse black list, your server will check against the list on each incoming email message. If a match is found on an email message to a list entry, the specific email message can be processes further by your server in a number of ways. Your server can simply bounce the message, or just delete it silently. The benefit of silently deleting the message is that you’re not “informing” the sending server that it has been listed. The people who maintain the sending server may then work on ways to avoid being listed. The downside is that sometimes the lists classify good messages. If you don’t allow a bounce, the sender just assumes if has been delivered, and the receiver never gets the email either. We prefer to bounce the message with an embedded reference in the actual message header, telling the sender which RBL listed their email server. This way, legitimate senders can more easily clean up their listing by addressing the specific issue with their email server. Thus reducing the overall amount of spam being send out from that email server to others.